I admit it. I have been a completely lax travel blogger over my last couple months or so of travel. I am quite prolific at procrastination. I have several stories to share from New Zealand and all along the Banana Pancake Trail in Southeast Asia, but got really far behind with my blogging while on the road. Now that I am planning on being slightly more settled, mostly staying in one spot in Brazil, I will be able to catch up on my posts and share them with you. I’ll also try and make more current posts, hopefully weekly at least, from here in Brazil. I am now in a phase of my trip that should take on some new excitement for me both personally and professionally. This is the chapter where I have gone to Brazil for a somewhat undetermined amount of time to develop fluency in Portuguese and hopefully find a new career for myself that involves an international aspect. I have to admit that I felt really intimidated coming here to Brazil yesterday even though I have been to this country before. Last year, four friends of mine and I visited São Paulo, Florianopolis and Rio de Janeiro during Carnaval. I think some of my fears were worrying about how my story will unfold, lots of questions running through my mind: Will I be able to find my way around the monster of a city that is São Paulo; Will I inadvertently find myself in some dangerous neighborhood/situation? Will I be able to get by with the limited amount of Portuguese that I know? My first day of travel here has given me some confidence though. I found it really easy to walk around and it was great seeing some of the familiar places I saw with my friends last year. 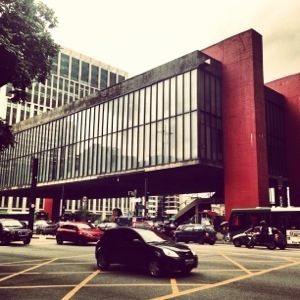 I’m staying one night in the Bela Vista neighborhood at an inexperience yet wonderful pousada which is walking distance to frenetic Avendia Paulista, the MASP Museum, Trianon Park, the Jardins neighborhood and posh Oscar Freire. The area is really upscale and safe and I enjoyed simply walking around. Bela Vista is a beautiful neighborhood situated on a hill rising above Avenida Paulista. It retains some charming older row homes that have not yet been torn down to build skyscrapers, which are simply unavoidable in highrise-heaven (or hell) São Paulo. Bela Vista was traditionally an Italian neighborhood, so of course it has some excellent restaurants. I had lunch at Cantina Mamma Celeste and enjoyed a mouth watering risotto with gorgonzola and hazelnuts. I spent the rest of the day wandering around the area near Avenida Paulista.